Have you ever wanted to paint watercolour? Are you looking to improve your watercolour painting? 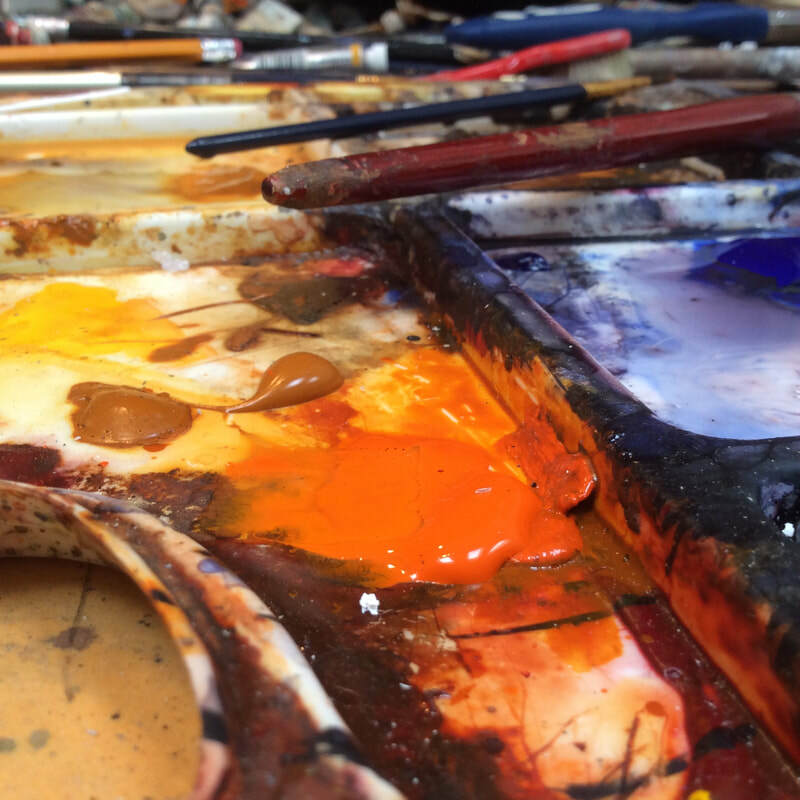 Are you ready to bring your watercolour painting to the next creative level? 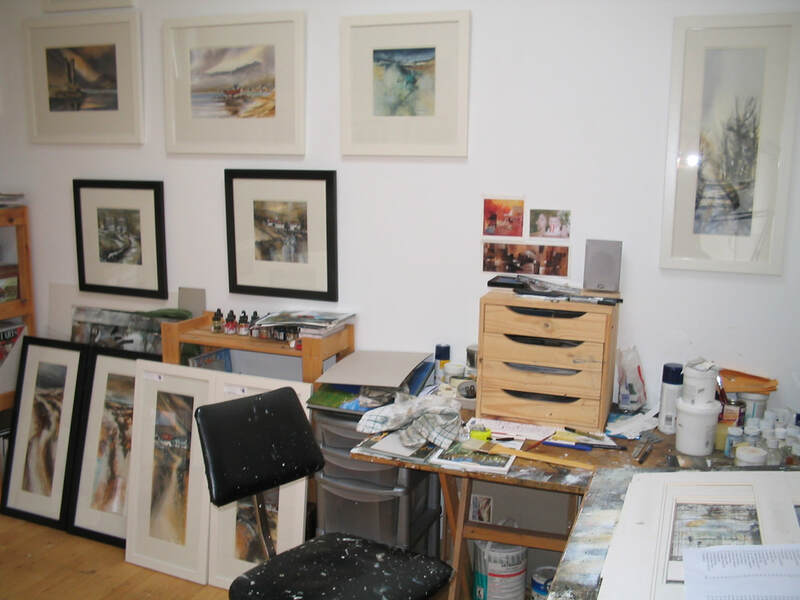 Roland holds weekly watercolour tuition in the relaxed and friendly atmosphere of his studio. All tuition is private, classes are provided on a one to one basis, you and the artist. You shall have the Roland’s full guidance and expertise at all times. Classes are provided on a six week to eight week block term basis. Each class is two hours duration. An inexpensive required materials list is available upon application. Painters at all levels are very welcome. If you have always wanted to paint but never did, or the last time you held a paint brush was when you were a child. Then this course will start you on your journey. Basic drawing, composition, perspective, understanding brushes and paper, watercolour paint control, tonal sketch work, color mixing, laying a wash, wet into wet, wet on dry, distance and detail. Creating full finished paintings each week. This course covers many aspects of the of the beginner level course however only as a refresher! 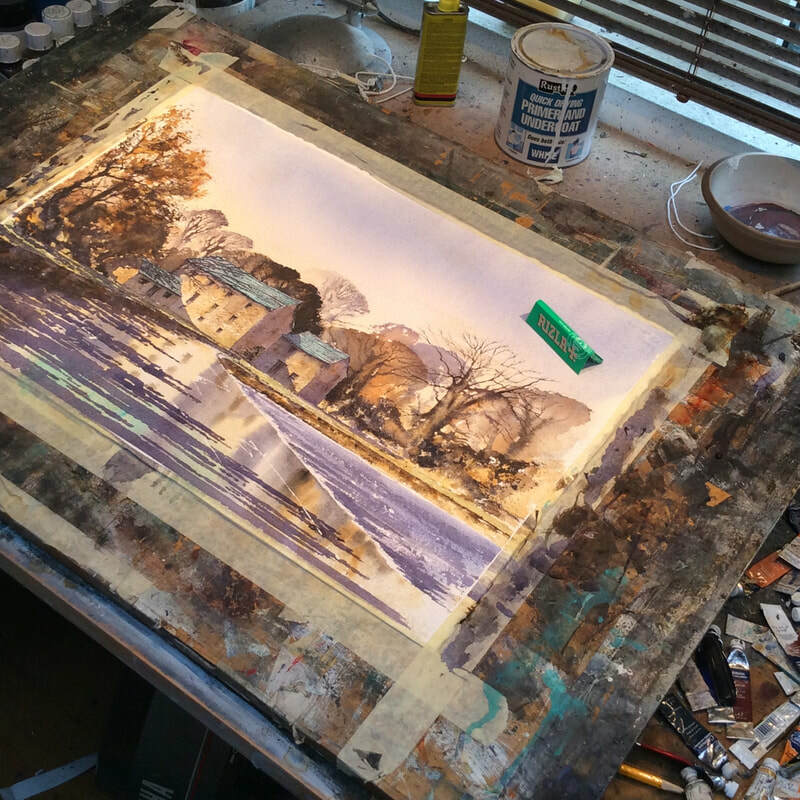 Intermediate level focuses heavily on common watercolour mistakes, fixing issues with your painting or dealing with areas with which you struggle. Progress is made by constructive critiquing of your work, demonstrating and painting solutions to problems that will bring your work forward. If you struggle with any aspect of your watercolour technique (light, skies, foregrounds, mud, shadows, palette, composition etc...) then this course is for you. The advanced creative watercolour techniques course is for artists that are looking to move to the next level. Learn how to be creative and exploit the watercolour medium. Learn how to create atmosphere, light, mood and drama in your paintings. Learn about different types of paint and paper and the results they give. Learn how to make your paintings luminous. The art of applying multiple transparent washes and glazes, working with a limited palette, creating granulation, work with masking fluid, wax, salt and even clear water. Learn how to bring abstraction, impressionism, negative painting and fine art detail to your work.